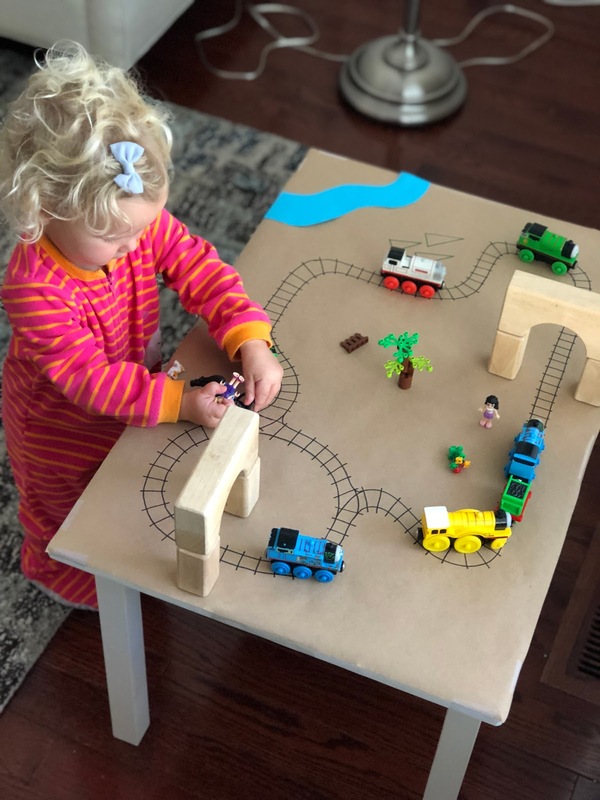 Trains, cars, and airplanes are magical and toddlers seem to gravitate to them immediately! My daughter spends most of her day driving her firetruck and pink school bus around the house. 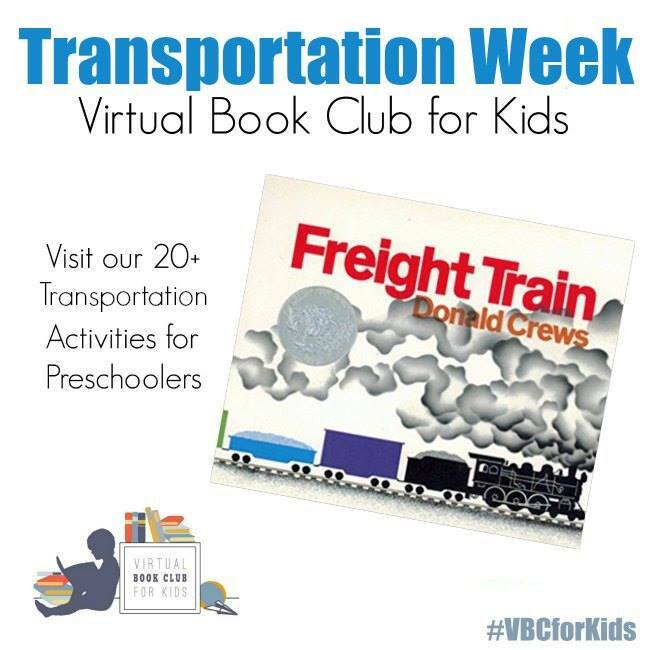 I was so excited when we decided to have an entire week focused on transportation for our Weekly Book Club for Kids! Here are a few of our favorite books about vehicles, just to get you started! Last week we pulled out our trains and set up a super easy DIY train table! We received a large expensive train table when my son was 2 or 3... and we loved it to death... but after going through three kids, we gave it away a year or two ago. 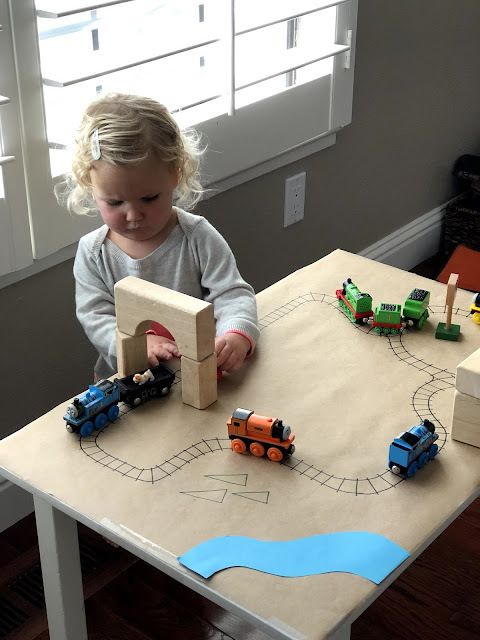 I didn't feel like getting a new one, so we made this simple homemade train table for my daughter to use. 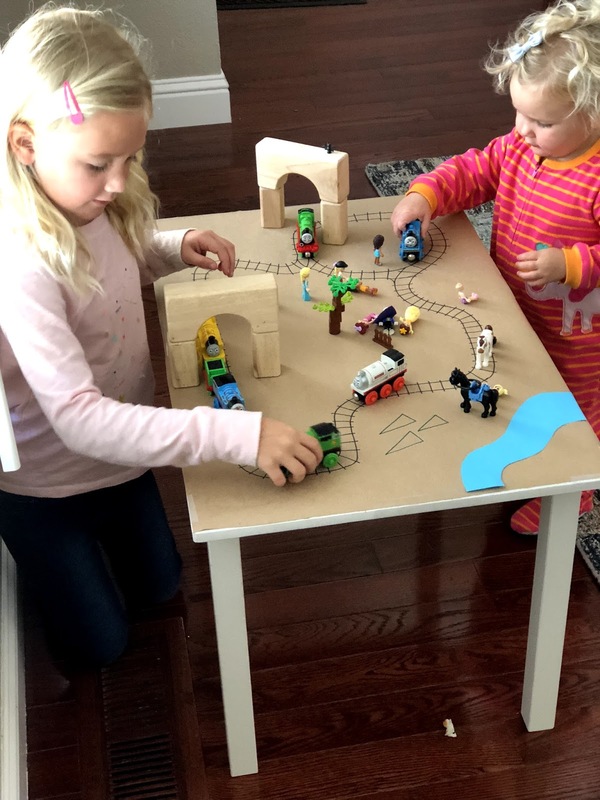 It has been a hit! 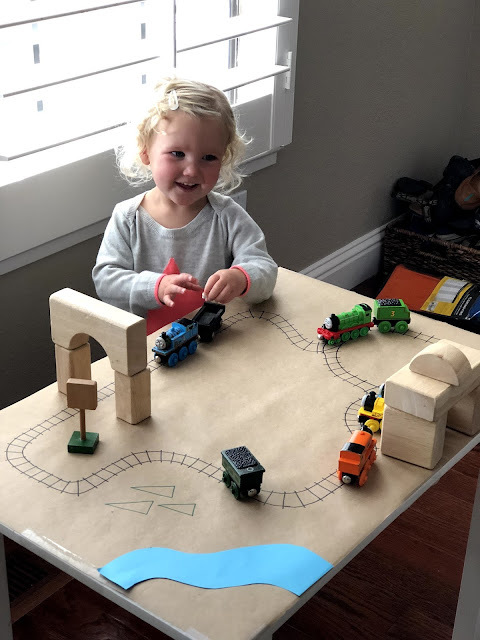 To prep ahead you first need to lay out your brown paper and then put the table upside down on the paper to measure the size of the top of the table. Once you have it measured and outlined, but out the rectangular piece of brown paper and secure it on top of the table using clear packaging tape. 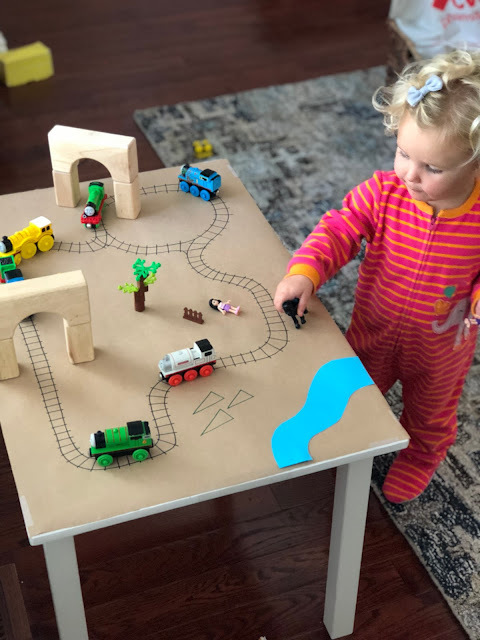 Next, use a pencil and a sharpie to draw some train tracks onto the table. 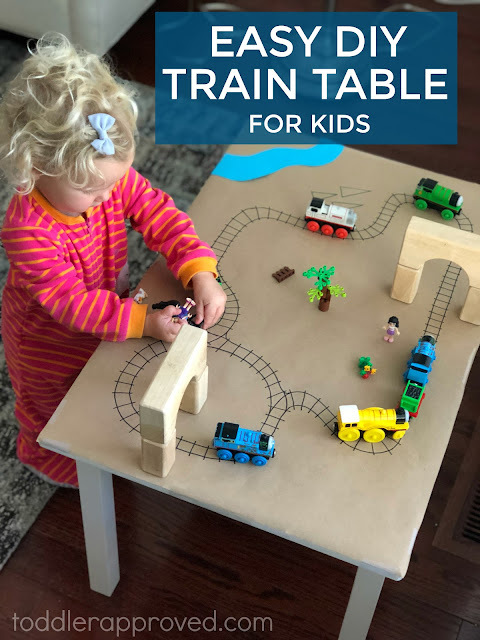 After that, add some trains, blocks, and other items onto the table to create your train town. Now you are ready to play! 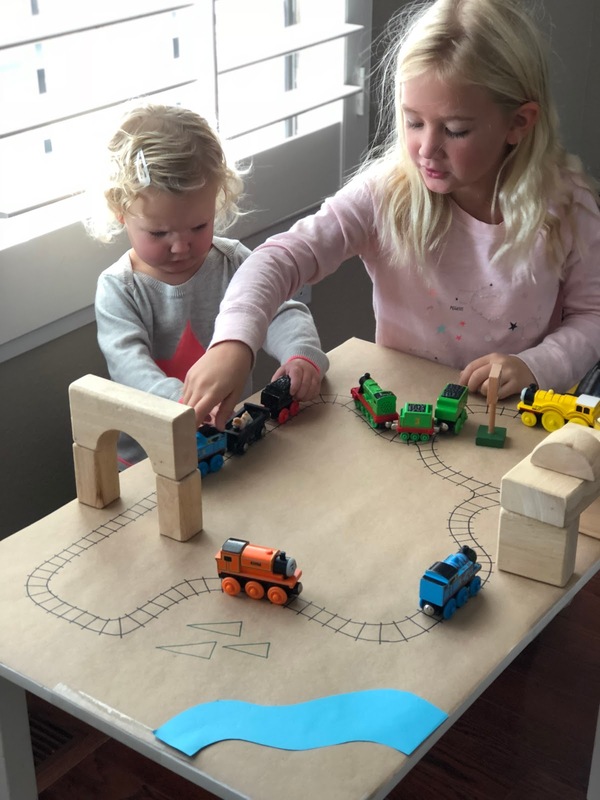 My daughter loves going off to play by herself and she is also always thrilled when someone else comes and plays alongside her! Do you have any guesses what transportation themed book we are reading this week? Freight Train by Donald Crews! This is fun to read and re-enact on the train table. 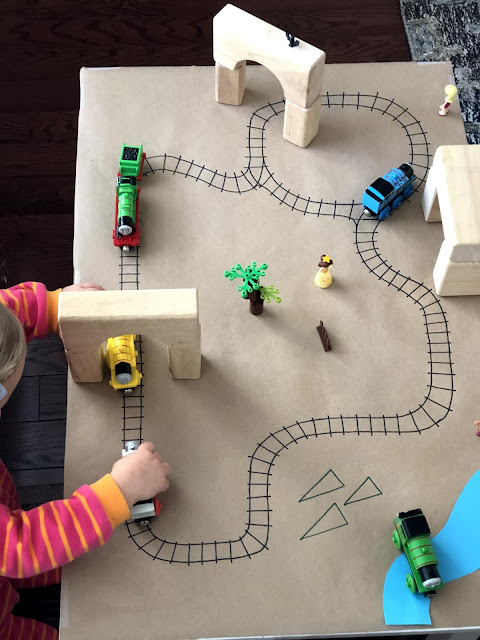 NEED SOME MORE TRANSPORTATION THEMED ACTIVITIES?